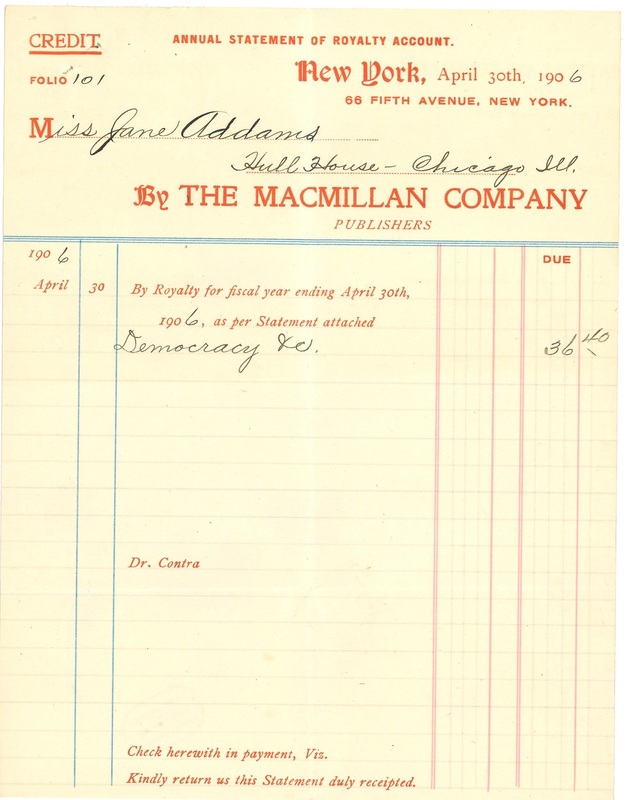 1906 April 30 By Royalty for fiscal year ending April 30th 1906, as per Statement attached Democracy &c.
Check herewith in payment, Viz. 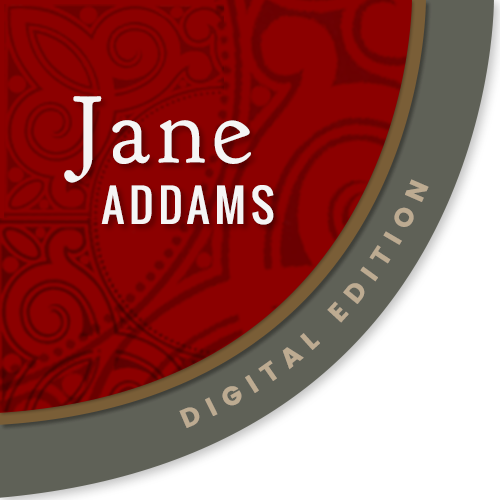 Kindly return us this Statement duly receipted. 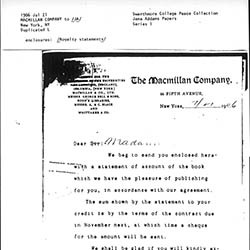 The Macmillan Company issues a credit statement to Addams for her book. 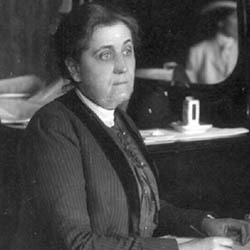 A poor quality image on the microfilm has been replaced with a new scan from the Swarthmore Peace Collection. 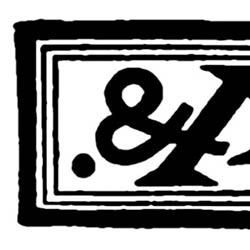 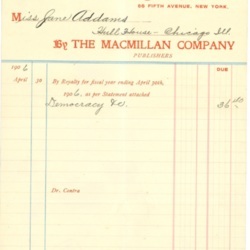 The Macmillan Company, “Macmillan Company Credit Statement, April 30, ,” Jane Addams Digital Edition, accessed April 18, 2019, https://digital.janeaddams.ramapo.edu/items/show/3990.